Hello, Ribbon Lovers! I hope you are all having a very happy Father's Day! 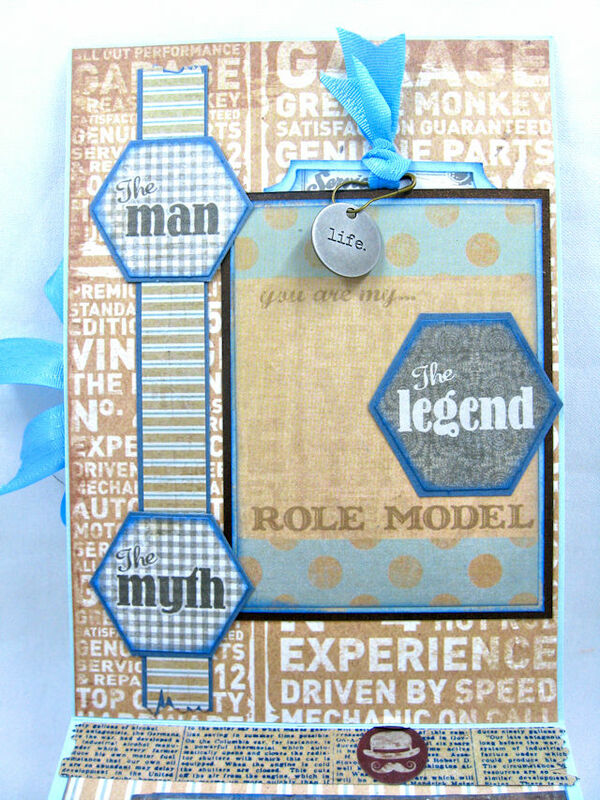 To honor the men in our lives, I've worked up a fun masculine card using Copen Blue Delicate Stitched Satin Ribbon from the Ocean Breeze Ribbon Assortment. I've also added some fun embellies from RRR. Let's take a look! It can be hard to design a masculine card, but these papers from Authentique's "Durable" collection strike exactly the right note. 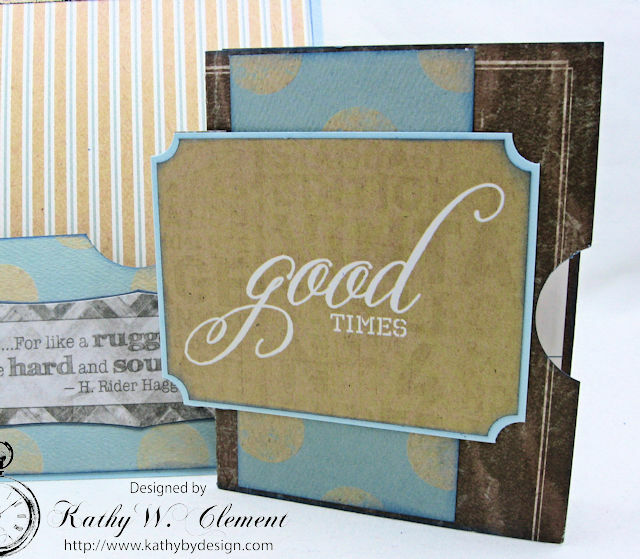 This top fold card measures 5" x 7", so there's lots of room to add great embellies. Delicate Stitched Satin is one of my all time favorite ribbon choices. 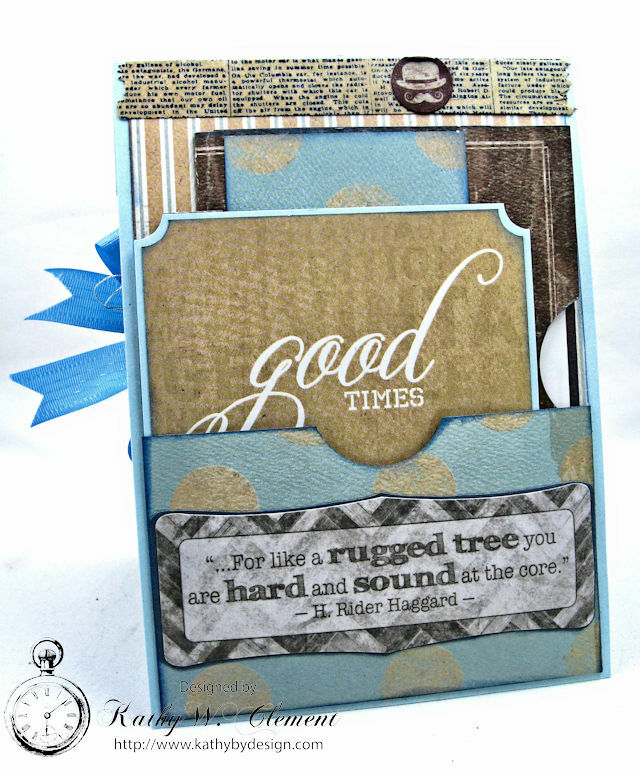 This time around I used the new Copen Blue ribbon from the Ocean Breeze June Ribbon Club Assortment. 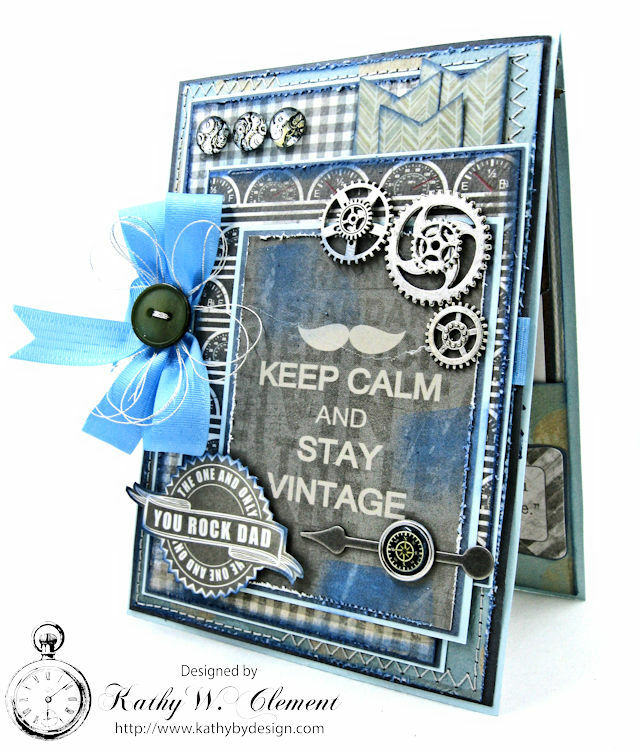 It's the perfect shade of blue to liven up all the lovely grey tones in this card. 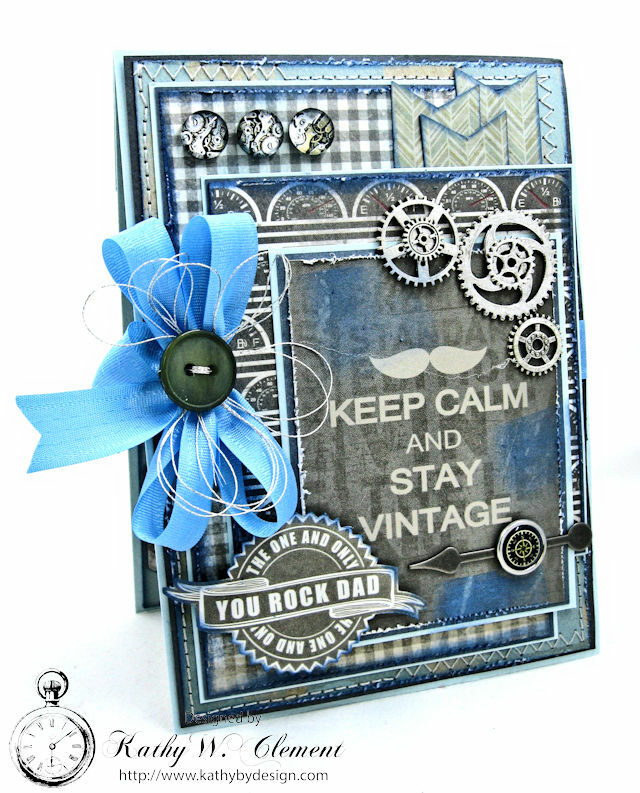 Metal Steampunk Gears make the perfect embellishment, adding a little shine, a lot of texture and a fun masculine vibe to the card design. 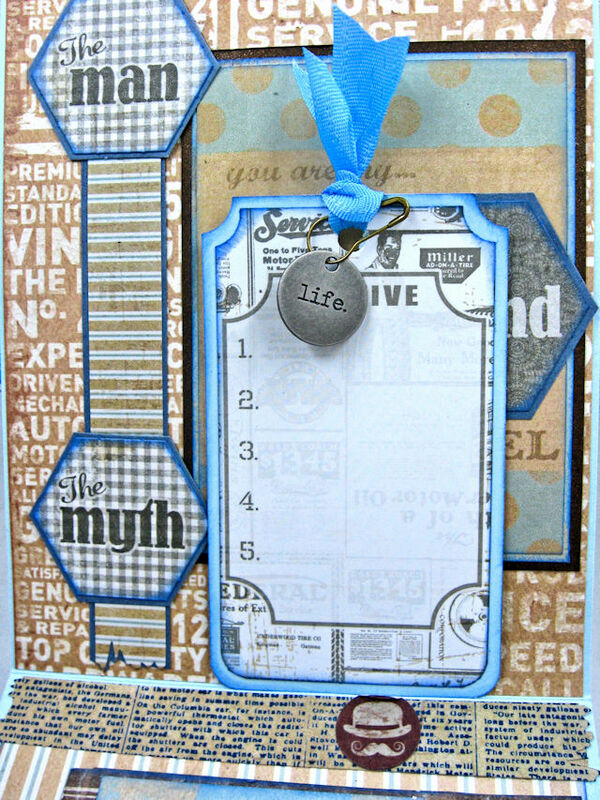 To even out the composition I also added a trio of flat backed cabochons in the upper left hand corner of the card. 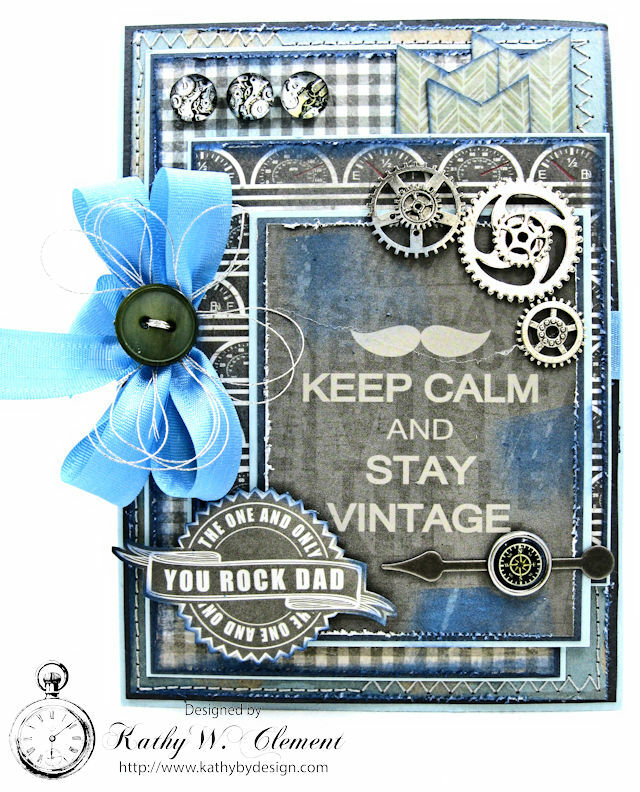 The interior of the card contains two pockets filled with goodies for Dad. The small upper pocket contains a cute tag that Dad can use as a bookmark. You could mount a small photo of your children, or write a personal note here to make it really special. The lower pocket contains a simple folio. This was made by cutting a 5" x 12" strip of designer paper from the collection. Then I scored on the long side at 4", 8", and 12" to form a little folio. 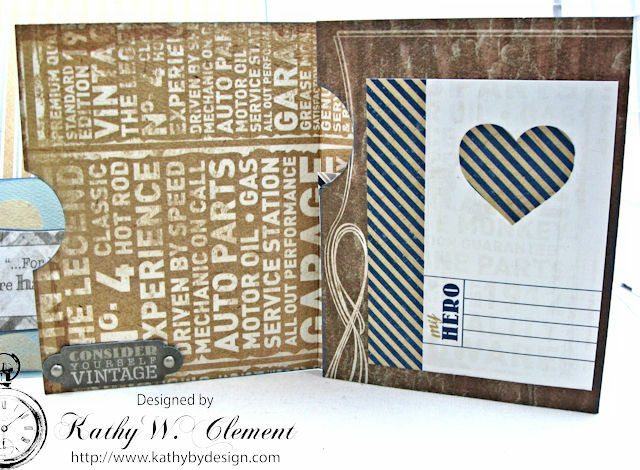 I added thumb holes with a circle punch, then minimally decorated the pages, leaving lots of room for 4" x 5" photos of Dad. Tuck in a gift card, and you're ready for Father's Day or a masculine birthday. I'm thankful to have been raised by a kind an loving father. I'm even more blessed to have married a man who is devoted, loving and kind to our 5 children...and now our grandchildren. I pray you all enjoy a peaceful, happy and restful Father's Day!